Steel Rule Die cutting is a simple technique utilized for trimming parts. 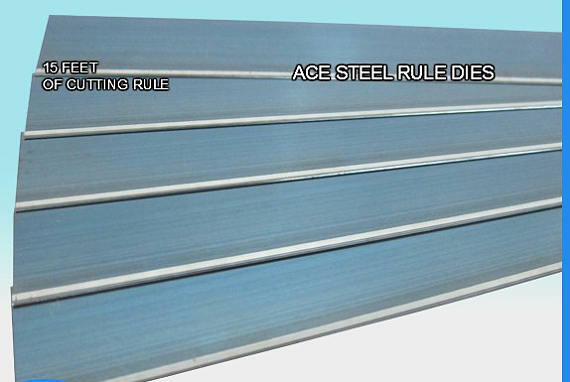 Steel Rule Die Material known as steel rule rule or steel rule blades are produced using various bevels and gauges of steel rule, which is custom bent to fit in to cnc cut slots or kerfs in the wood or lexan base to keep its shape.Steel rule die material thickness to be utilized to cut your material is controlled by the material to be die cut and your specific die cutting press. Common steel rule die material types are 2pt steel rule blade, 3pt steel rule blade, 3pt 1 1/4″ high steel rule blade. Steel rule heights for cutting rule are standard of .918″ (printing presses), .937″ high, and 1 1/4″ high rule. 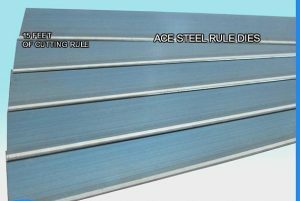 All of these steel rule die material types are available for sale from Ace Steel Rule Dies. These are the same high quality steel rule blades used in the custom steel rule dies we manufacturer for customers around the World. 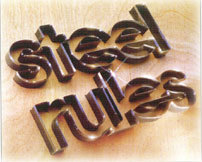 Custom steel rule dies since 1960! Medical Dies for Pharmaceutical applications.